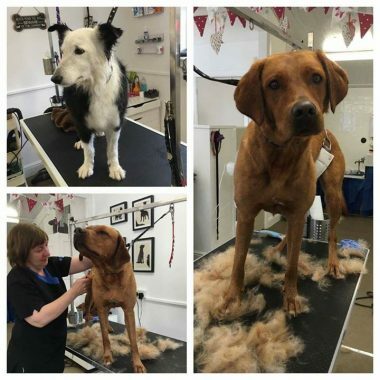 In the Summer of 2016, the business was taken over by Rachel & Colette, two professional & caring dog groomers, trained to City & Guilds Level 3. 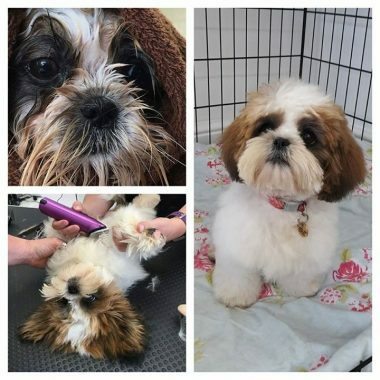 The ethos behind Shaggyz has always been to provide a professional caring dog grooming service with your dogs welfare the top priority. 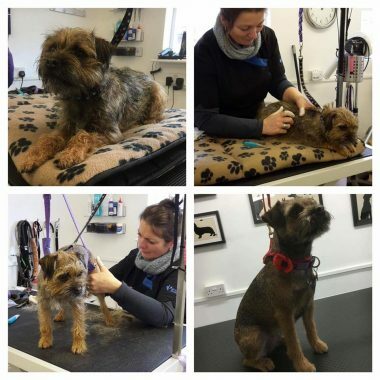 Our grooms can be tailored to you or your dogs requirements. 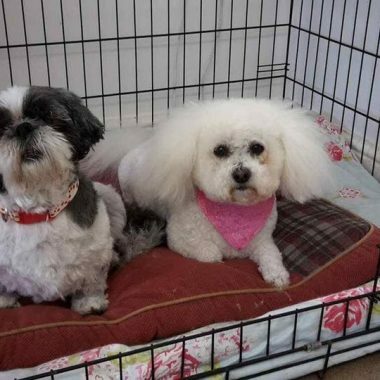 Catering to all breeds, from young puppies to seniors and shy or anxious to the energetic and playful. 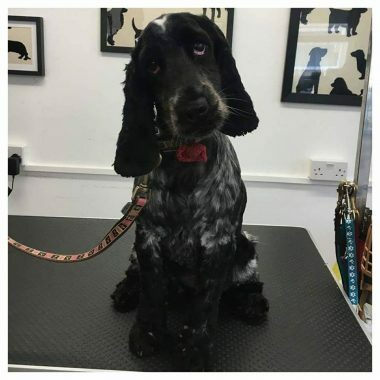 We treat all dogs as if they were our own. 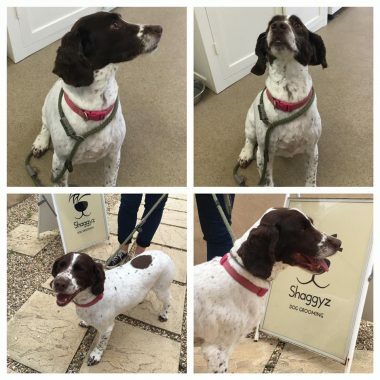 Perfectly located in a quiet corner of the countryside, Shaggyz can be found on the outskirts of the Historic Saxon Market town of Bridport, near the Dorset Jurrasic Coast. 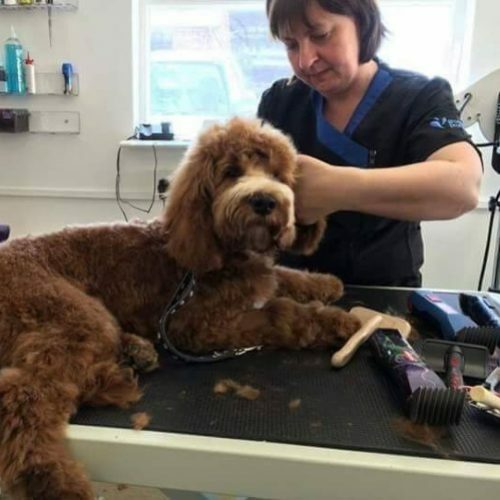 Nearby Symondsbury now has a thriving café and an eclectic range of artisan units which is a lovely way to fill the time whilst you wait for your dog to be groomed. 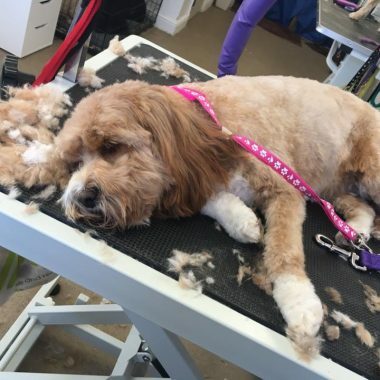 It is not currently a requirement to hold any qualification, or to have received training, to groom dogs. 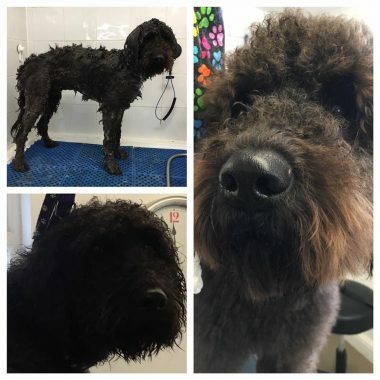 We believe any true dog lover would want to ensure they have the best knowledge to groom, without causing distress or worse. 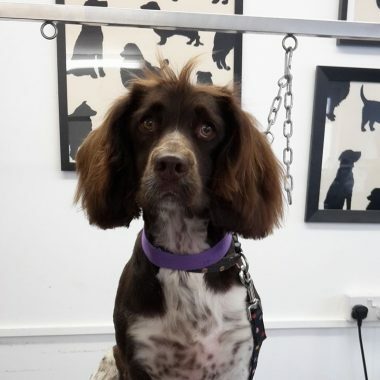 Qualifications also hopefully give you the customer some assurance and peace of mind that you are placing your dog in good hands. 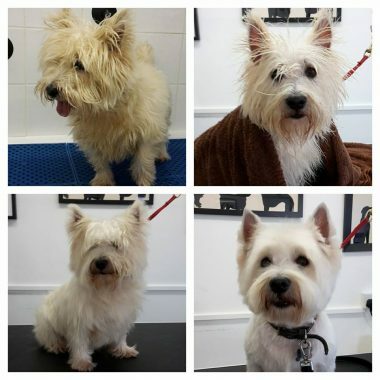 We only use the best quality products & hold a range of shampoos suited to different coat & skin conditions. 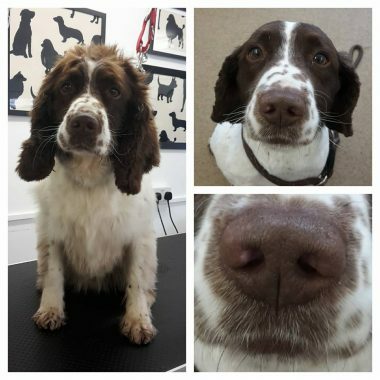 After consultation & assessment we will use what we believe is best for your dog. We do not offer "VIP / SPA" treatments because we believe that quality products should always be used. 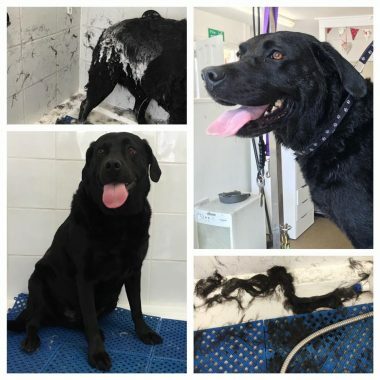 We focus on ensuring your dogs groom is enjoyable. 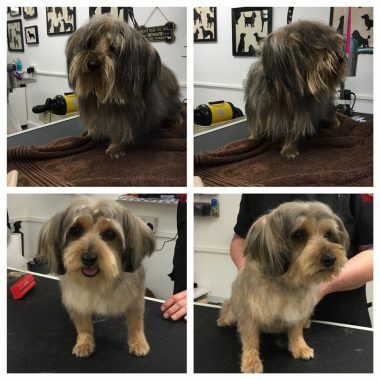 Shaggyz groom with love & lots of cuddles, never rushing, preferring to stop a groom if a dog is becoming distressed. Your dog’s welfare always comes first. 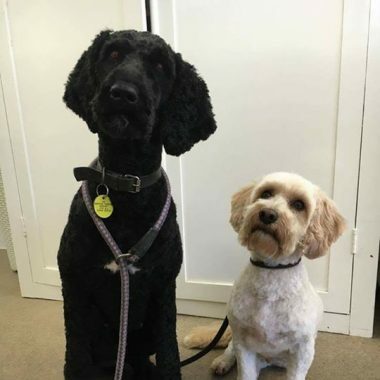 Grooms can be tailored to meet your dogs needs, from ensuring it is the only dog in the salon or having two groomers available. 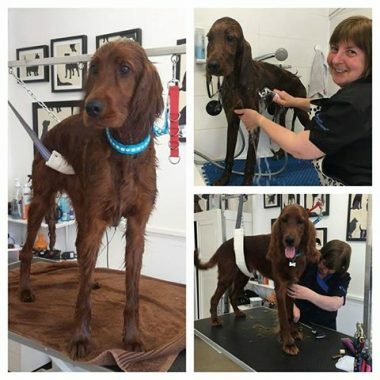 Our salon is modern and clean with a relaxed environment, containing two fully equipped grooming stations. Our working area is completely viewable from our reception and outside. 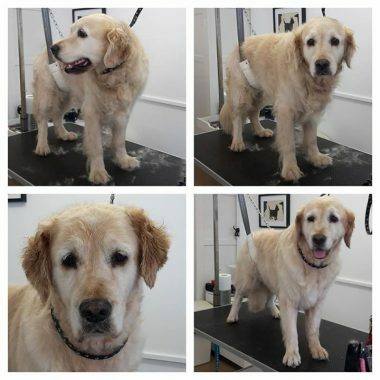 If we are quiet and do not have any anxious dogs in the salon we welcome you to come and have a look for yourselves. 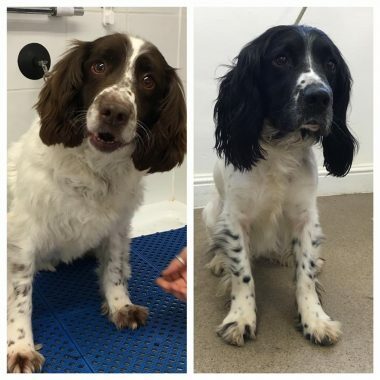 Having grown up surrounded by Irish Setters, Cocker Spaniels and a few naughty beagles, I realise how important dogs can be as part of the family. After leaving school, I trained as a nurse and have a naturally caring disposition. 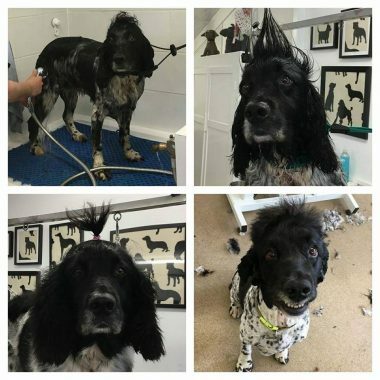 Following a career break to look after my young family, I decided to re-train as a dog groomer. 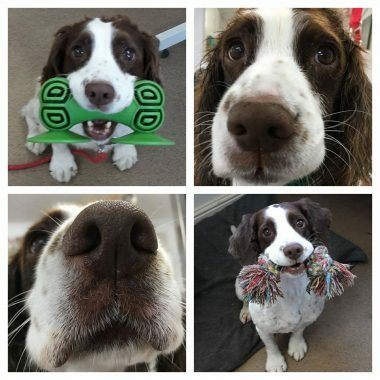 This rewarding career enables me to exercise my caring nature and enjoy my love of dogs. 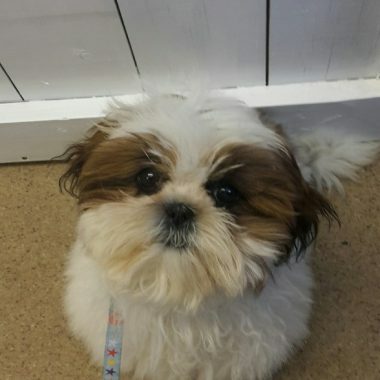 In our family, we have an elderly shihtzu, a crazy cockapoo and most recently a cavapoo. 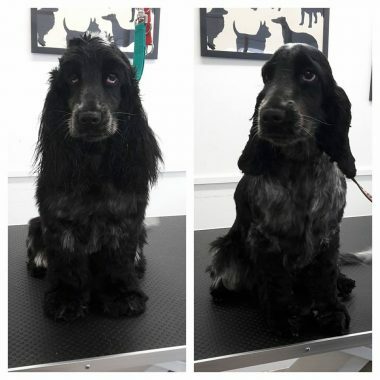 You may meet them on occasion in our salon. 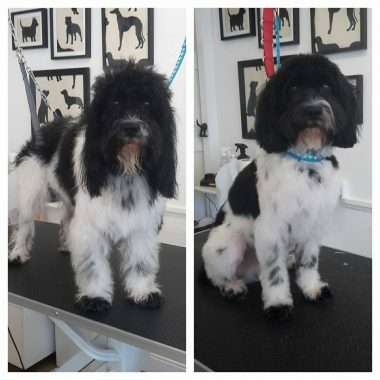 from Great Danes, Border Collies and Labradors, to a miniature Jack Russell. 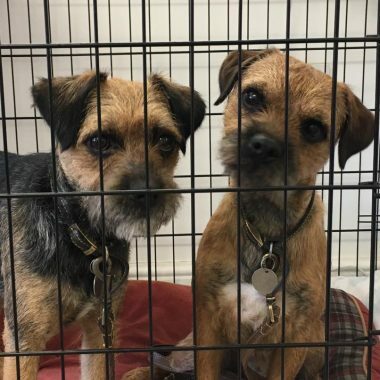 At school I attended an animal health and welfare course at Kingston Maurward College. 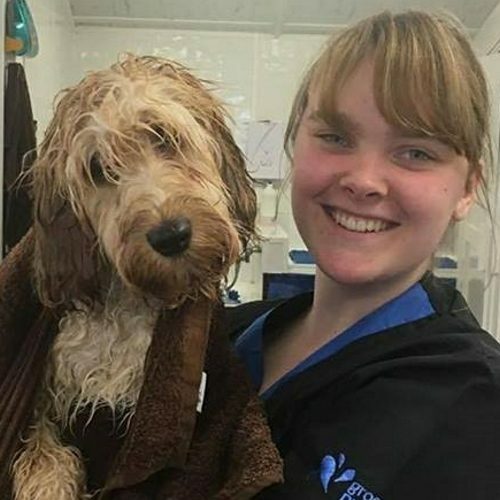 After leaving school I trained as a dog groomer, achieving City & Guilds Level 3 certification, which fitted perfectly with my love for animals - especially dogs. 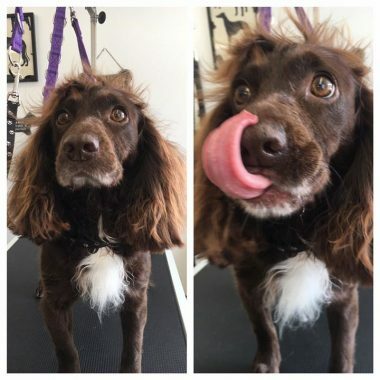 I met Rachel through my dog grooming training. 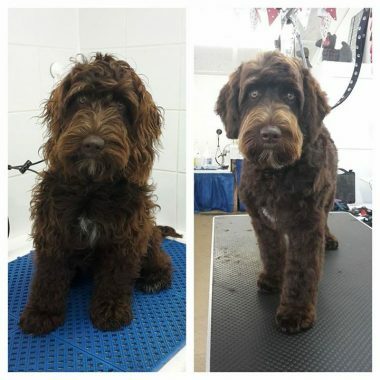 I am privileged to join her at Shaggyz dog grooming salon in Bridport.
" 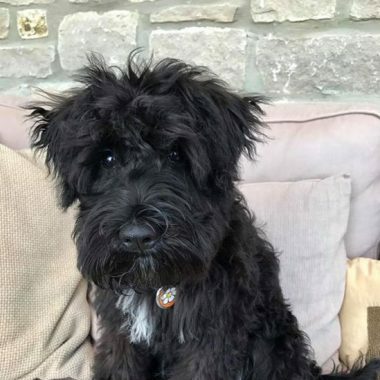 Thank you for doing such a wonderful job with Hugo, thanks to your hard work he won..... 1st for Best Puppy/Junior | Best in Show Puppy | 5th Best Dog | 6th Judge Choice | 6th Best Lookalike | 6th Best Family Dog. 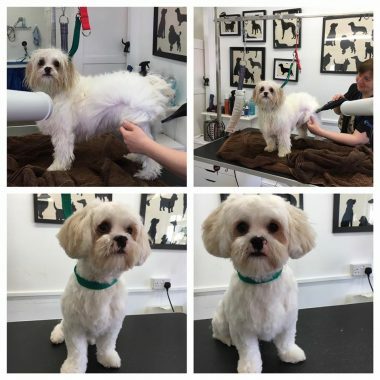 He looked absolutely stunning, we'll be seeing you for another bath and trim soon! " 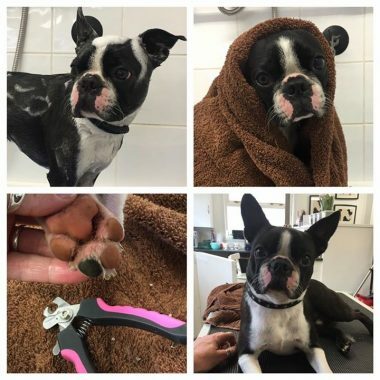 " Thank you Rachel and Collette, so kind and genuinely caring. 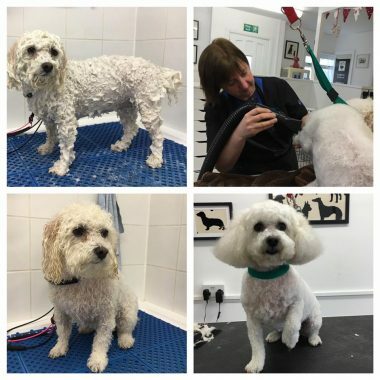 Our very timid, matted rescue Bichon behaved amazingly due to the care that was given to her. 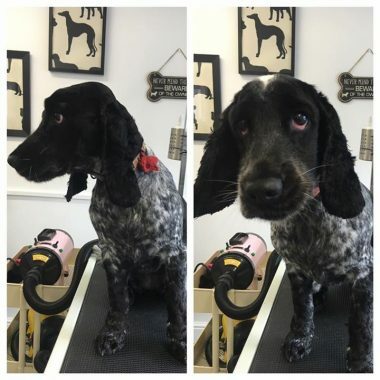 She has been totally stripped back and she is already showing relief 😊 I know she will be very happy to come to her next appointment in July, again, thank you x "
" Sophie hadn't been to a groomers in over 3 years and I know she doesn't like hairdryers. 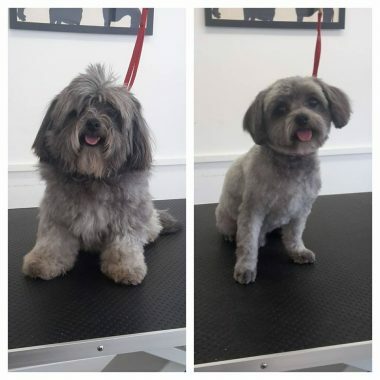 When I went to pick her up she was happy & bouncy & looked amazing. The next day she is still prancing and a lot more comfortable after a fur strip and trim and pedicure!! 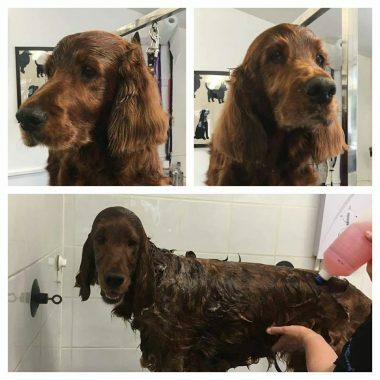 I was shown pictures of Sophie with an ear cover on being dried and other pics of her being washed - she looked so happy though it all. 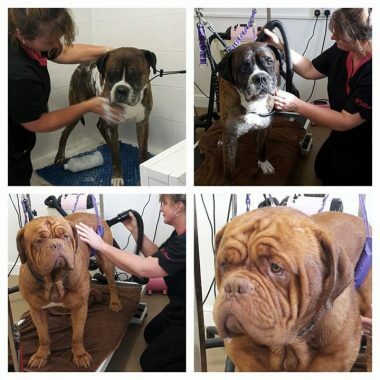 Guys you are brilliant, will recommend you to anyone who needs a fabulous groomers. "